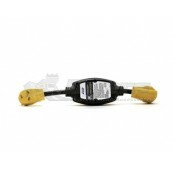 DyersOnline.com offers a variety of voltage monitors to suit any application and budget. 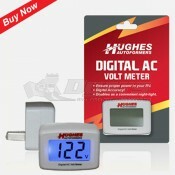 Dyers has both analog and digital meters for AC voltage as well as a DC voltage monitor to ensure your RV’s electrical system is functioning properly. 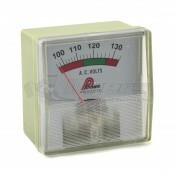 We offer AC line monitors from such well-known brands as TRC, Prime Products, Shurite, and Camco. Knowing the voltage being supplied by your RV is important to ensure your safety as well as the safety of all electronic devices in your RV. In addition to knowing the voltage some of our Voltage Monitors also continuously test for grounding faults and reversed polarity. Proper grounding is essential for sensitive electronics such as computers and audio equipment. 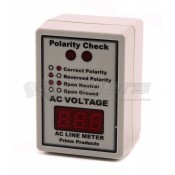 Reversed polarity can out right destroy many electronic devices or causes some appliances to malfunction. 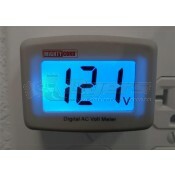 Knowing what voltage your RV is supplying is essential. 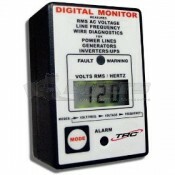 The Electra Check Digital Voltage monitor is a well-rounded tool for your voltage monitoring needs. 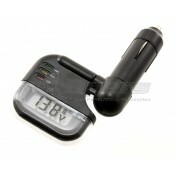 The LCD display has LED backlighting for easy viewing in the dark and can display the frequency of the supplied power as well as the voltage. InNorth America60Hz power is supplied, and required for many appliances to function normally. Many AC electric motors’ speed is based on the supplied frequency and if it varies from 60Hz the motor will run at the incorrect speed. The Electra Check from TRC also features ground fault check to ensure all of your electronics are properly grounded. A built in multi-tone alarm will alert your to changes in voltage and wiring faults to ensure you are informed of any issues even when you cannot see the Electra Check. 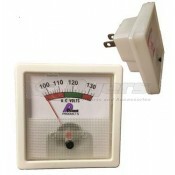 The Prime products Line Voltage Monitor is a simple to use analog voltage monitor, measuring a range of 100 to 135 volts AC. 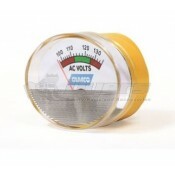 When you simply need to know the voltage this product is the perfect choice due to its simplicity and low price. 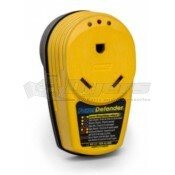 It features a green zone so you can quickly see if your sensitive electronic devices are safe.